The Garden Guestroom in the south-east corner, offers a lovely view of the gardens. 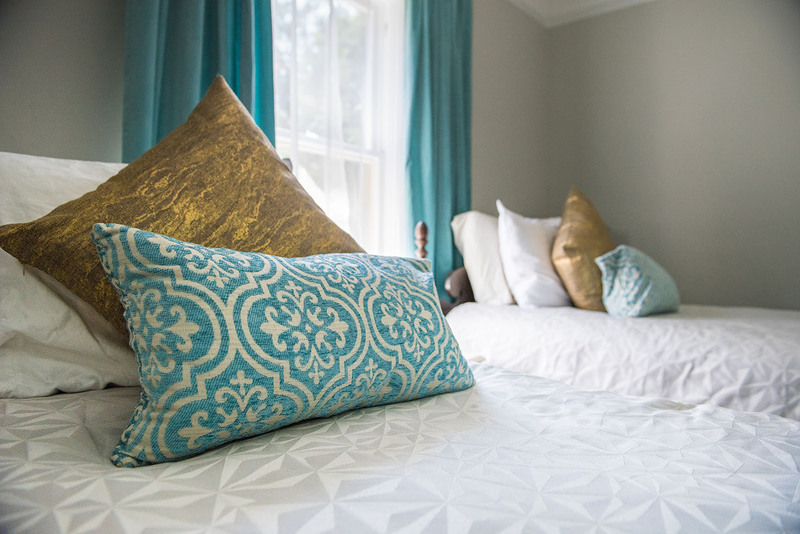 The Garden Guestroom has two twin beds and a private bathroom across the corridor*. The bathroom has a bathtub, shower, sink and toilet. The guestroom is decorated blue and beige tones. * Please note that the bathroom for this room is NOT en-suite. It is private and not used by other guests but it is located a few steps away from the room across the corridor. 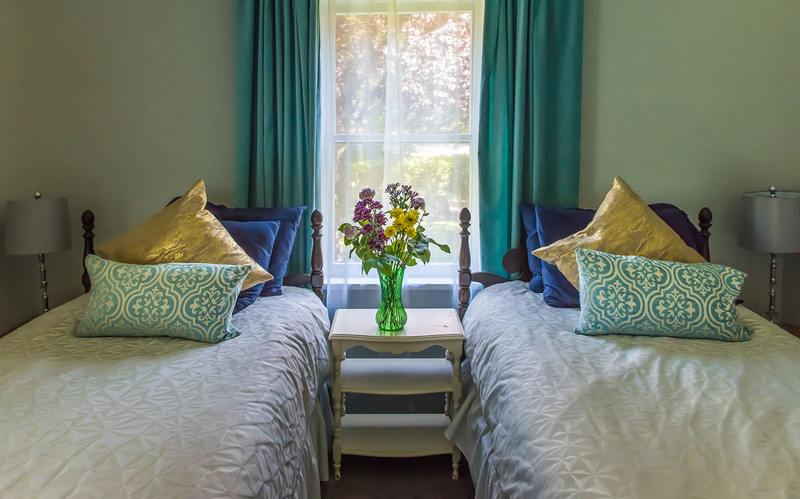 The Oak Bay Guest House's character and charm represent a truly authentic guest house, located in the stunningly beautiful neighborhood of South Oak Bay.